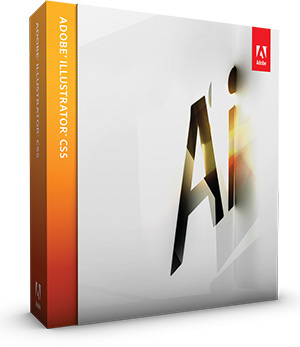 Illustrator CS5 Now Available For Instant Download! Take advantage of all the precision and power in the new Adobe® Illustrator® CS5. Draw accurately in perspective, create variable-width strokes, and paint expressively with lifelike brushes. Collaborate thanks to integration with new Adobe CS Live online services* and explore interactive designs for Adobe Flash® Catalyst™ CS5 software. Used by creative professionals worldwide, Adobe Illustrator helps you get the job done efficiently but beautifully. And now with a host of new time-savers, move quickly from multiple ideas to multiple outputs with complete control while delivering exactly what you had in mind. Perspective Drawing – Use perspective grids to draw shapes and scenes in accu­rate 1-, 2-, or 3-point linear perspec­tive. Create the look of realistic depth and distance with snap-to guides to quickly put objects, live text, and symbols into per­spective. Bristle Brush – Paint with vectors that resemble real-world brush strokes. Control bristle characteristics and paint opacity to achieve the expressiveness of natural media with the scalability of vectors. Define bristle length, stiffness, and shape. Transparency provides lifelike blending. Beautiful Strokes – Adjust stroke width interactively using new width handles. Precisely position arrowheads and symmetrically align dashes. Control stretch at any point when scaling art brushes on a path, and see how patterns behave beautifully at corners. Crisp graphics for web and mobile devices – Create vector objects precisely on the file’s pixel grid for delivering pixel-aligned artwork. Generate clean, sharp raster graphics by turning on Align To Pixel Grid and using text anti-aliasing options for individual text frames. Multiple artboard enhancements – Work on up to 100 artboards of varying sizes in one file, organized and viewed the way you want – overlapping or on a grid. Quickly add, delete, reorder, and name. Save, export, and print artboards independently or together. Shape Builder tool – Intuitively combine, edit, and fill shapes directly on your artboard. Drag your cursor across overlapping shapes and paths to create new objects and add color without accessing multiple tools and panels. Quickly unite, exclude, trim, and more. Drawing enhancements – Work faster with everyday tools. Draw behind, disregarding stacking order. Draw or place an image inside, instantly creating a clipping mask. Join paths with one keystroke, see ruler origins at the upper left, and scale symbols with 9-slice control. Gradients and transparency – Interact with gradients directly on your object, defining the dimension of elliptical gradients, editing colors, and adjusting opacity. Control the trans­parency of individual colors in a gradient, including those applied to a gradient mesh. Industry-standard graphic file format support – Work with almost any type of graphic file – including PDF, EPS, FXG, Photoshop (PSD), TIFF, GIF, JPEG, SWF, SVG, DWG, DXF, and more. Roundtrip editing with Adobe Flash Catalyst CS5 – Take Illustrator designs into Flash Catalyst and create interactive experiences without writing code. Roundtrip editing allows you to perfect your vector art in Illustrator while preserving the structure and interactivity you added in Flash Catalyst. Resolution-independent effects – See raster effects such as drop shadows, blurs, and textures maintain the ideal appearance across media. Create work for different types of output and know that raster effects will look just right no matter how your resolution settings change. Integration with Adobe CS Review* – Create and share—from within Illustrator—online reviews for clients and colleagues down the hall or around the world. Publish your review to the web and see comments in Illustrator so you can track feedback on specific design elements.